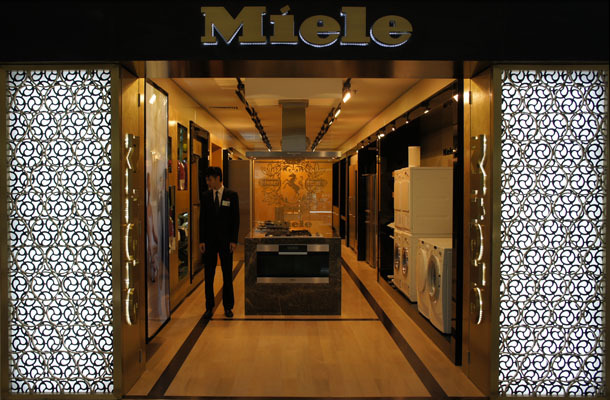 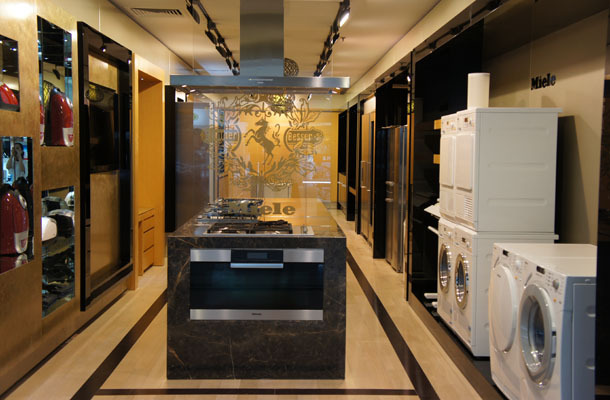 This was the first store for Miele China with numerous subsequent projects. 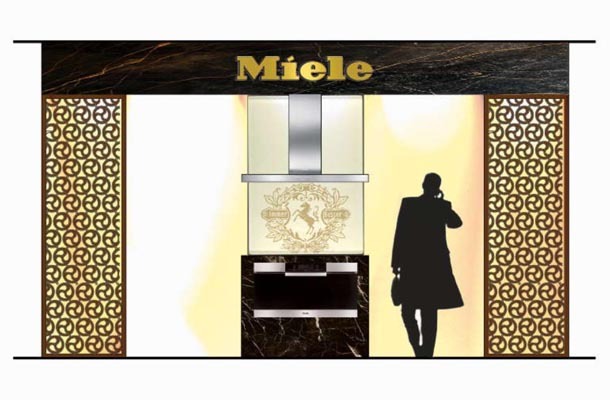 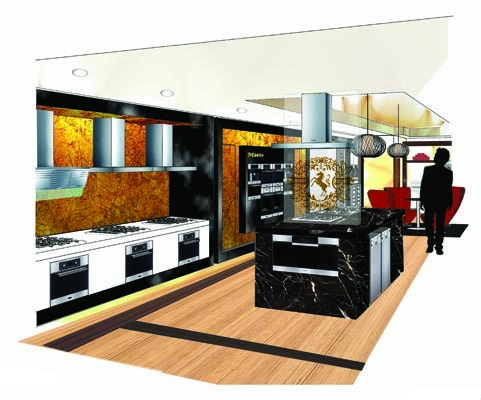 It was a new venture for our design team to come up with a new concept for Miele appliances in another continent. 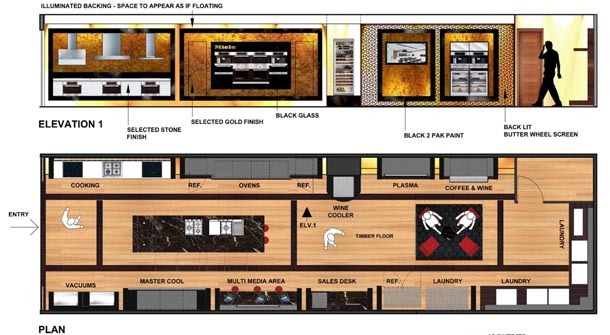 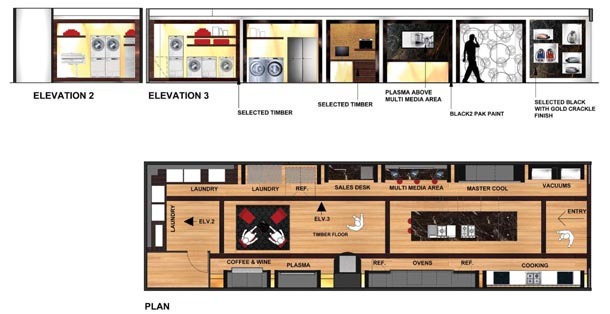 A simple layout with carefully picked elements succeed for this long narrow space with a very narrow store front. 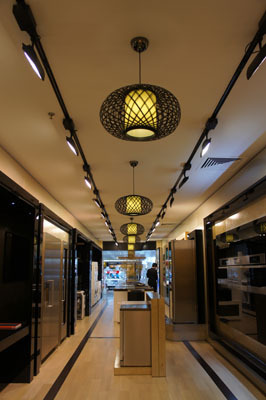 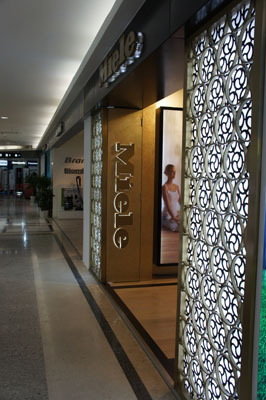 Two well-lit ‘butterwheel’ screens make an evocative statement embracing customers as they enter the store. 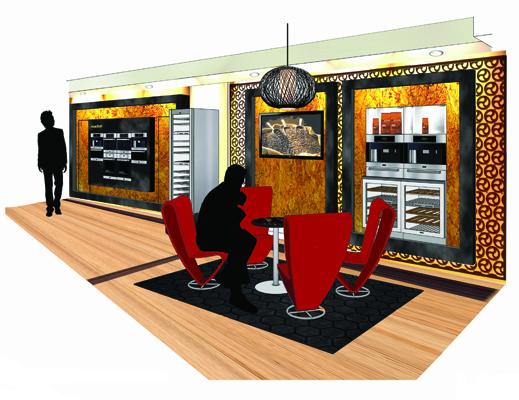 Long walls on each side with feature island in the middle generate reflections and refractions of warm lights.